Respect and worth adheres always for the traditional standards and among them one of the device which is inevitable contemporary days is Mobile phone and in this device a new innovative and welcome able process has been worked out, yes the Nature is back, mobile phone prototype made with the surplus wood of trees culled during thinning operations to maintain healthy forests. 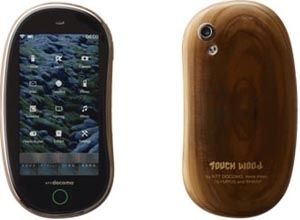 NTT DOCOMO joins with Sharp Corporation, Olympus Corporation and "more trees," reforestation project and others in developing Mobile Phone Prototype Using Surplus Wood. 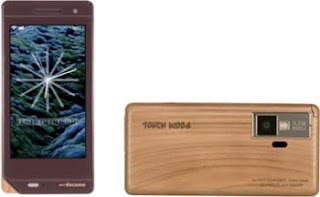 The authentic cypress wood body of the prototype, which is named TOUCH WOOD, features excellent durability and resistance to water, each TOUCH WOOD handset features its own distinctive grain patterns and natural coloring. No artificial colors or paints are used; the wood also has an attractive shine that is created during the compression process. ‘Old is Gold’ there is no contradiction always isn’t it?